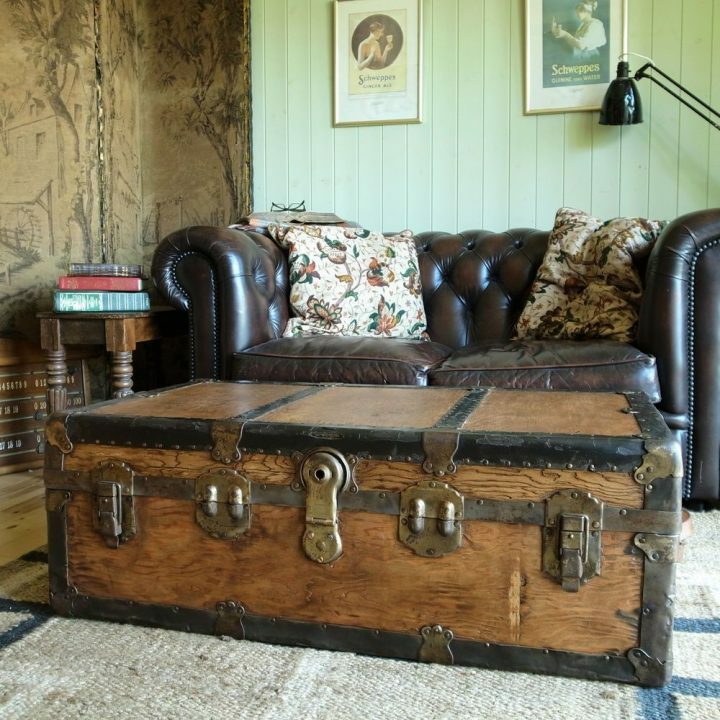 Traditionally, a coffee table used to be a must-have in any living-room. And while we definitely see the why (where else are we supposed to put drinks, books, remotes, snacks, and our feet?!) we don’t necessarily support the “how”. If you have the space and like the look of a traditional coffee table, go for it. The available designs are tried and tested and you’ll definitely end up with a furniture you like. However, if you don’t want to have a traditional coffee table, or just generally don’t think the classic table look would suit your overall room design, there are quite a lot of fun, creative, stylish, and (most importantly!) space-saving alternatives you should take into consideration. It looks incredibly stylish (particularly if you manage to find an old, used one! ), and it offers tons of storage space! With at trunk in front of your sofa, you will never again have to worry about storing those great Christmas-themed throw-cushions, the warm winter blanket, or the extra bedding you keep at hand if someone wants to crash on your couch. And on the trunk’s lid there is way more than enough space for drinks, magazines, and whatever else you want or need to keep close at hand. 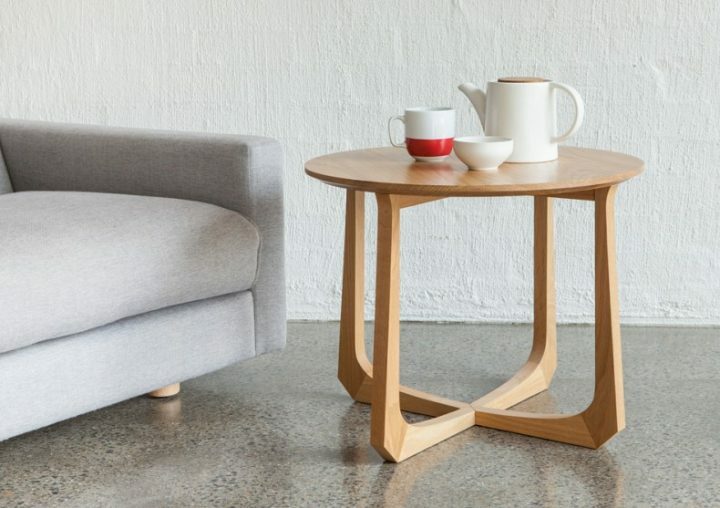 Side tables actually may be the obvious choice as coffee table alternative, but we’re guessing, most people would not think about them on the spot. The best about using side tables is the fact that you can easily group as many or few of them together as you wish, and on top of that, you can just as easily use them separately if that is called for. 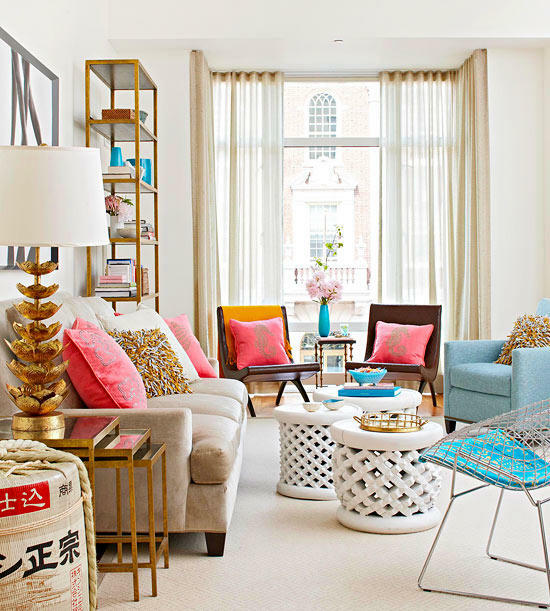 Another plus for side tables is the simple fact that you can go for different looks, sizes, types and colours in each and every one, thus creating a wonderful mix-and-match look for your living-room. If you’re mainly concerned with having a place to put up your legs, and maybe store a few magazines and/or remotes, you don’t necessarily need to go for a real table as coffee table alternative. 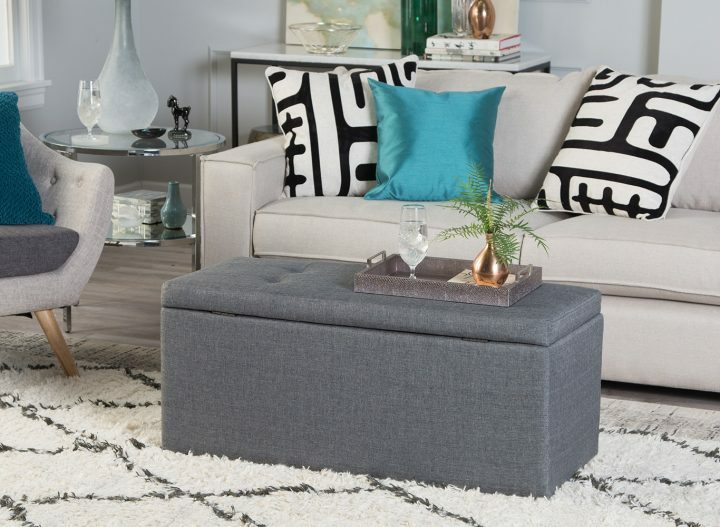 In this case, an ottoman, a soft, cushioned footstool, might be just the right choice for you! 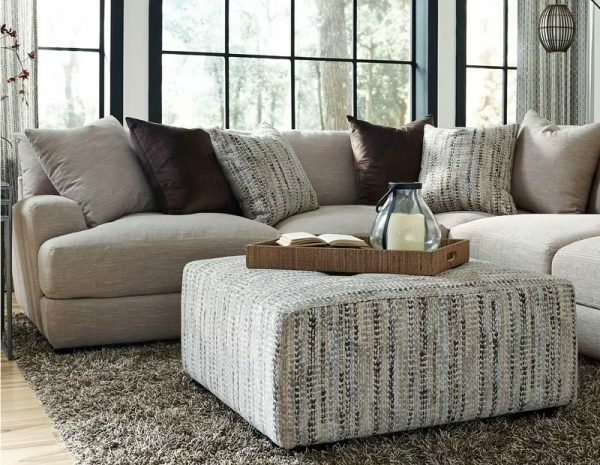 If you want to kill two birds with one stone, and would never say “no” to a bit of extra storage space, you can find ottomans that can be opened and used as cushion, magazine, or blanket storage. 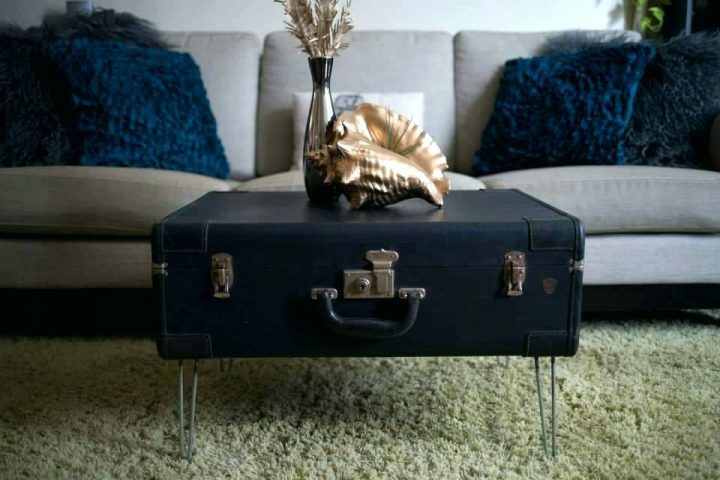 Another beautiful and creative DIY alternative to the classic coffee table is putting old (vintage) suitcases to new use. Depending on your desired size and height you might want to think about stacking a few suitcases, or mounting one single suitcase on low feet, but otherwise, you’ll just need to find a suitcase whose look you like and you’re good to go. Are you one of those people who sometimes just needs a small space to put your coffee mug, and who sometimes need a lot of space to spread out notes, laptop, drinks, remotes, and a bunch of snacks? Then nesting tables are the perfect choice for you! Whenever you don’t need more than one small(ish) table, you can simply push the others below the biggest one and kind of stack them that way. 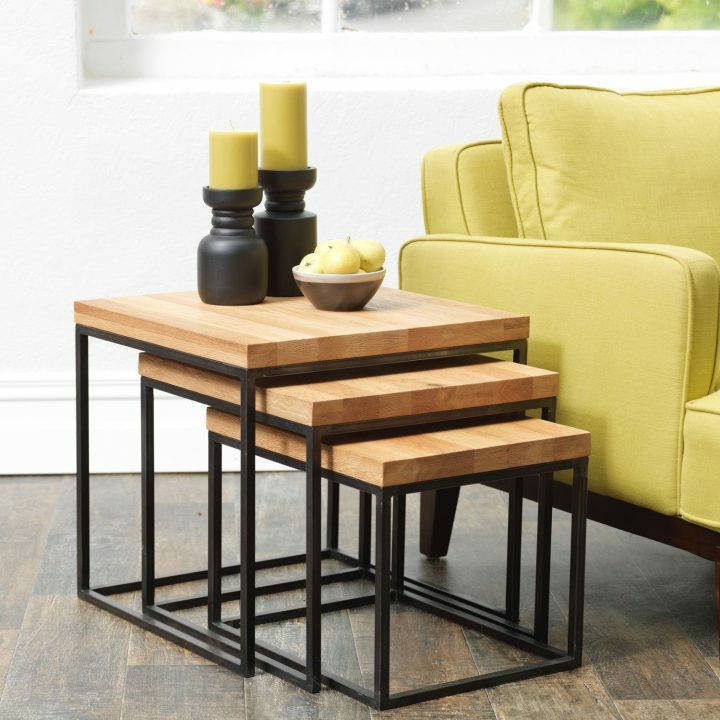 Nesting tables are a great way to have a lot of different table-size options without needing to commit to a single big coffee table. Garden stools are a good, and typically cheaper alternative to your regular coffee table. And what’s more – just because you use them inside your living room, there’s no reason not to take the stools outside during the summer months when you’re most likely to spend more time outdoors than on your sofa anyway! 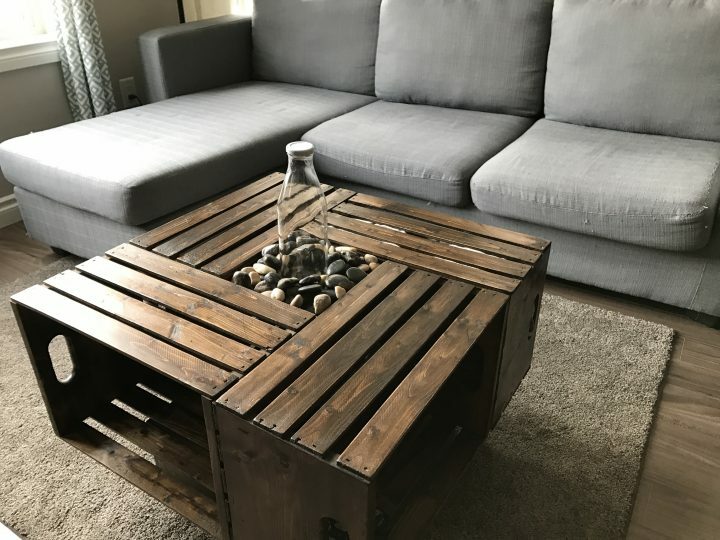 Pallettes and crates are the most popular materials for DIY projects at the moment, and so it shouldn’t come as a surprise that crates, too, can be used as a great coffee table alternative. Depending on the size of table you want to end up with, you might want to get your hands on one, two, four, or even more crates that can be stacked, screwed together, or simply distributed throughout the available space. Another great way of gaining both a coffee table alternative and additional storage space is going for a bench. This solution is especially well-suited for narrower living-rooms where there is not a lot of available space between the sofa and (probably) the TV. In this case a storage bench gives you enough width to deposit magazines and co, and prop your legs up, without taking up as much space as the more traditional square solutions. If your main concern is gaining storage space for magazines, remotes, and various knick-knack, you may want to think about giving this rather uncommon coffee table alternative a chance. 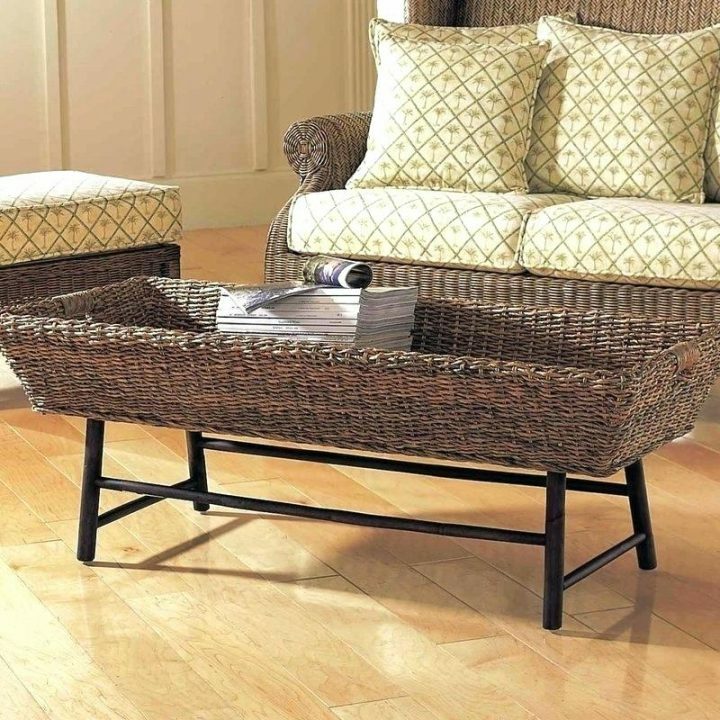 A basket mounted on short legs is a great way to add a little unconventional something to your living-room, but this look will only work if the rest of the room supports a more rustic, cottag-y design. However, if you’re brave enough, a mounted basket coffee “table” can also be a surprising piece of furniture in a very modern, minimalist room design. Tray tables are either round or square tables whose table tops strongly remind of a serving tray. This kind of table is usually made up of very clear, and also reduced lines and therefore give off a minimalist, modern vibe. They look great in every type of overall room design, and can be either colourful focal points or hardly noticeable pieces of furniture, depending on your choice of colour and size. Additionally, tray tables look great when they are grouped together. 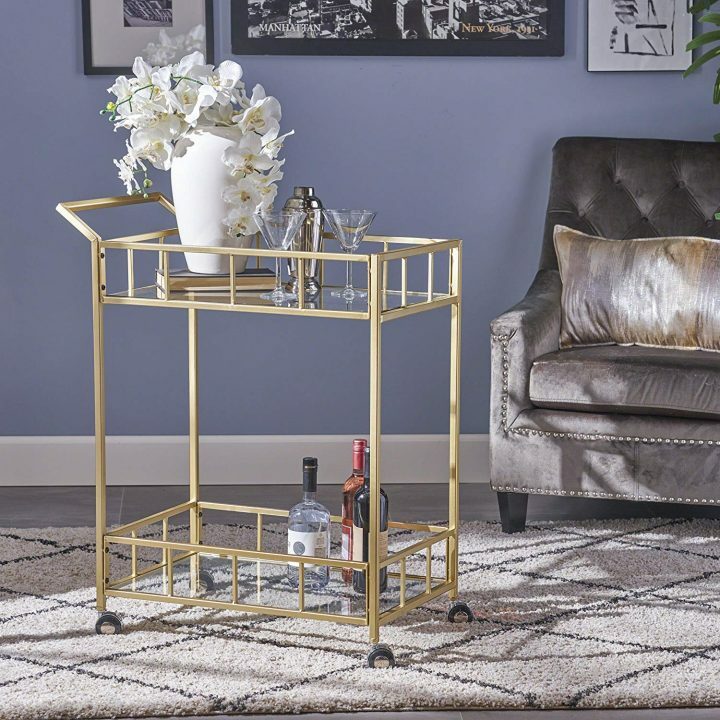 A very stylish and rather handy alternative to the classic coffee table is the drink cart. If you like to have a relaxed glass of wine or that after-dinner brandy, you will want to have some sort of home-bar in your house anyway, so why not combine the pleasurable with the useful? And since bar carts come in a number of different shapes and sizes, it’s very likely that you will find the perfect solution for you within a matter of minutes. If you’re looking for something completely different and just happen to have had to cut down a tree in your garden, you could easily re-purpose part of the old tree in your home. 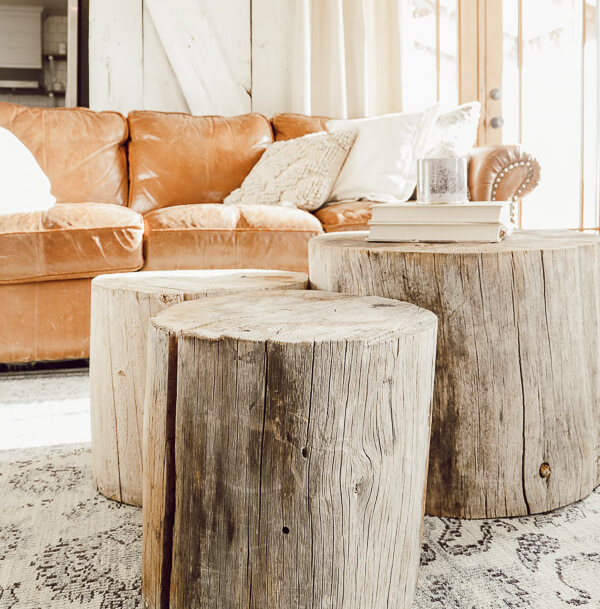 Depending on the size of the trunk, and your preferences, you can just put the slab of wood down in front of your sofa as it is, or you could lacquer is and mount a glass table-top on it for a more sophisticated, designed look.